BATON ROUGE–Considering bulletproof backpacks for your children? The state Legislature is close to approving them as optional school gear, and they are easy to find online from companies with names like Bullet Blocker and Guard Dog Security. The backpacks typically cost from $100 to $400 and come in a variety of colorful styles and prints. But can they really stop a speeding bullet? The suppliers say tests show that their backpacks, which contain panels of the densely woven Kevlar fiber used in bulletproof vests, can withstand shots from handguns and shotguns. Sen. Mike Walsworth, R-West Monroe, proposed the bill that would allow Louisiana students to wear bulletproof backpacks. 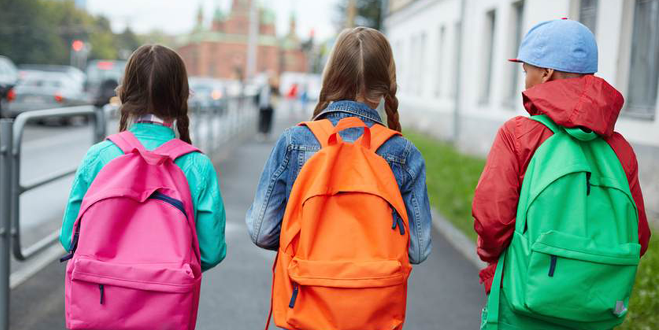 A bill to let students use the backpacks passed the Louisiana Senate 34-2 last month and advanced through the House Education Committee on Wednesday. It is expected to win approval of the full House. Bulletproof backpacks have been banned since the Legislature designated schools as gun-free zones in the early 1990s. The House approved a separate bill this week that would essentially gut that designation by allowing people with concealed carry permits to carry guns on school campuses. Walsworth acknowledged that most of the backpacks would protect students from handguns and shotguns but not from AR-15s. He said he hoped that the packs could downgrade the impact of a shot from an AR-15 from a lethal to a non-lethal blow. Walsworth told the House committee Wednesday how one mom had told her son that his backpack would act like a “superhero shield.” But Sen. J.P. Morrell, D-New Orleans and one of the two senators who voted against the bill, has countered that “a Kevlar backpack is not a Captain America shield. You are not going to run out there blocking bullets with a good outcome.” “The concern I have with this is you really push a false sense of security on parents that by purchasing this, their kids are safe if a shooter enters their school,” Morrell said. Parents and teachers seem mixed on the idea. Nancy Lizares, a parent of two middle and elementary school children, questions the effectiveness of the backpacks. Though she believes parents should have the choice, she doubts the backpacks would actually protect children because students do not carry their backpacks during lunch, recess or other times. She also questions how a backpack would protect the children’s legs and heads. Katy Ledet, a South Terrebonne High School teacher and vice president of the Terrebonne Safe Schools Coalition, believes that the bill could help save lives. Although she does not believe the backpacks should be mandatory, she thinks they should be allowed. Her current high school’s fire alarm procedure does not allow students to bring their backpacks. “My heart sinks every time an unplanned fire arm goes off because I’m scared it’s some sort of trap,” she said in an interview. “I would want them to have something to protect themselves in this case.” The bulletproof backpack idea has spread to different parts of the country, including California, Texas and Florida. Walsworth explained that there are two ways get a bulletproof backpack. The first involves putting a piece of metal inside of the backpack that would protect from bullets. This could be inserted by the parent for about $50. The second would be a backpack that has the bulletproof Kevlar material. These can cost anywhere from $150 to 500. Bullet Blocker’s website claims that the “the pack is sure to keep your child safe at school and on-the-go.” Guard Dog Security’s website says its bulletproof backpacks weigh “only ounces more than a non-armored backpack.” To appeal to children, the backpacks are also designed to be fashionable. Bullet Blocker, based in Lowell, Massachusetts, has come out with colorful prints and styles, including backpacks in vibrant pink and a blue tribal print, though some of the more fashion-forward ones are marked as sold out. The company also offers neutral colors like black and grey. The backpacks come in different sizes to accommodate younger children. They weigh from 3 to 7 pounds. Guard Dog Security, based in Sanford, Fla,, has been selling bulletproof backpacks since the shooting in 2001 at the Sandy Hook Elementary School in Connecticut, where 20 children were killed along with six adults. Sales are fairly consistent, but spikes occur after mass shootings, the company has said. Guard Dog’s backpacks are not as vibrant, but some come with charging ports for cell phones. They cost $189.99. Guard Dog says it donates some of the proceeds to the families of the victims from the Parkland School shooting. The companies say that demand for bulletproof backpacks has surged since the recent school shootings. Walsworth said some bulletproof backpacks are backlogged for up to seven months. Walsworth said that the feedback he has heard from education professionals is that they would rather see a bulletproof backpack than a teacher with a handgun.